New ERDF funding opportunities for the Heart of the South West are expected to be launched this month. 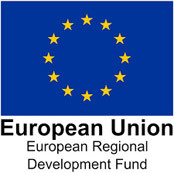 In support of these ERDF calls for project proposals, the Heart of the South West LEP is holding a free ‘ERDF Info Event’ on Wednesday 19 July in Exeter from 13.00pm – 16.00pmThe event aims to help prospective applicants understand the latest funding opportunities and what is needed for a successful ERDF application. The event will feature speakers from the Department of Communities and Local Government (DCLG) who manage the ERDF programme. The session will particularly focus on ERDF calls for proposals for ‘innovation’ and ‘SME support’ activities due to be published here on or around 30 June 2017. Further provisional call details are given alongside. Registrations will close at noon on Thursday 6th July or when full – whichever is the sooner. The Heart of the South West ERDF Info Event is aimed at potential ERDF applicants from across the public, private and voluntary sectors. Please note that, to be eligible for ERDF, applicants must be a legally constituted body and not an individual or sole trader.